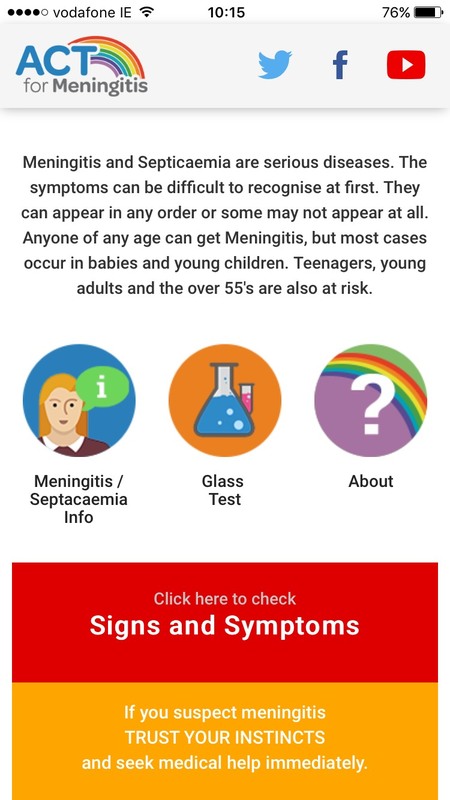 ACT for Meningitis, the Meningitis Support and Awareness Charity, has launched a free Lifesaving Meningitis App, which allows parents and individuals to check the signs and symptoms of Meningitis at the push of a button. CEO of ACT for Meningitis Siobhan Carroll says “After losing our own daughter Aoibhe to meningitis when she was just four years old, we realised there was an essential need for people to have instant access to the signs and symptoms of meningitis and thanks to continuing advances in technology, this is now possible. 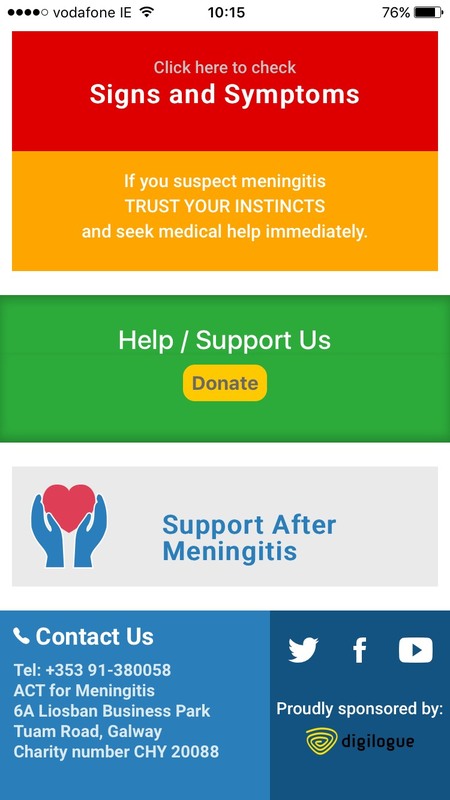 Anyone of any age can contract this disease and meningitis can kill in a very short time period, therefore we would urge every single person to download this app as knowing the signs and symptoms can save a life”. 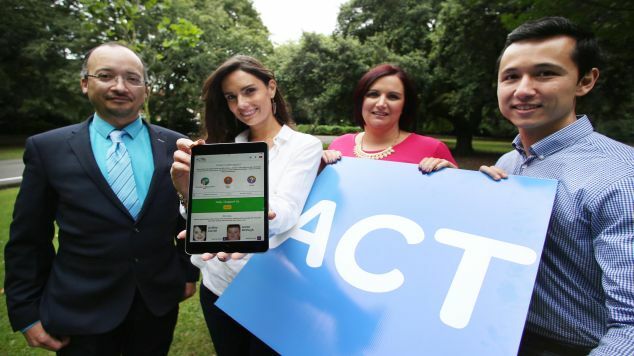 The app was created completely free of charge for ACT for Meningitis by web company Digilogue, saving the charity a cost of €7,000. The app is very simple to use. 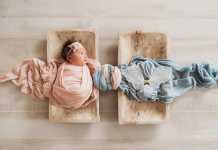 It provides information on meningitis and septicemia. 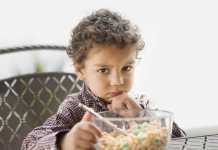 Signs and Symptoms of the illness vary between Babies & Toddlers and Adults & Children. 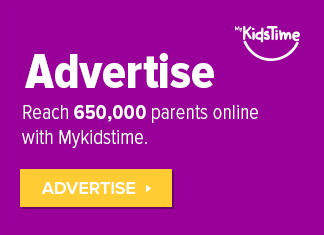 The key signs and symptoms are given, allowing parents and individuals to discern whether they need to seek medical attention should any of the symptoms of meningitis appear to present themselves. Instructions on the Glass Test are also given. While meningitis does not always produce a rash, if a rash is present it will not fade under pressure. The ACT for Meningitis Lifesaving App is available for free download from both Google Play and Apple Store. During the winter months there is an increased risk of individuals contracting meningitis. One in ten people who contract meningitis will die and one in three will suffer long term effects. On average there are 200 cases of bacterial meningitis recorded in Ireland every year. In a survey conducted by the charity, results showed that 82% of people questioned believed a rash was one of the first symptoms of Meningitis to look out for. This goes against the reality, as a rash appears in approximately 50% of cases. 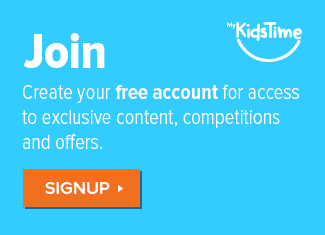 Next articleHow To Host A Really Spooktacular Halloween Party!